Ridley Scott’s Blade Runner is one of my desert island films. I will never tire of its visual aesthetic and poetic blend of dystopian science-fiction, hardboiled film noir, and philosophical musings on what it means to human. Denis Villeneuve’s sequel Blade Runner 2049 may not capture the same magic that makes the original so electrifying, but it comes closer than I ever dared hope for. Remaining true to the spirit of the original film without overly indulging in nostalgia, this is a mediative, measured and haunting film of overwhelming visual pleasures and thematic richness where humanity has been further diluted, but still prevails. I first began to really take notice of filmmaking brothers Joshua Safdie and Ben Safdie after seeing their 2014 film Heaven Knows What, but their new film, Good Time, confirms that they are two of the most exciting contemporary independent American filmmakers. Channelling the rawness and high energy of early Martin Scorsese films and the spirit of John Cassavetes, Good Time is a visceral and anxious crime drama that had my heart racing throughout so much of its running time that I felt shattered by the end credits in the best possible way. With the very notable exception of France Ha, I’ve never really been able to fully embrace Noah Baumbach’s films so I was not expecting to be so impressed by The Meyerowitz Stories (New and Selected), which is now easily my favourite film of his. While it treads the very familiar ground of exploring intergenerational tensions and resentments among the members of a dysfunctional family living in New York, it is elevated by its impressive performances, pathos and sincerity. It was especially great to see Adam Sandler return to dramatic acting, and he delivers his strongest and most endearing performance since Punch Drunk Love. The biggest surprise I had this month was how much I adored Brigsby Bear, especially considering how much I assumed I would not. After hearing it was about a man obsessed with a kid’s television series that he wants to recreate for himself, I imagined something unbearably whimsical and twee. I was surprised and delighted to discover that the tone and themes of the film were in fact far closer to something like The Truman Show, resulting in a sweet and melancholic story about family and identity. These days it is easier said than done, but this is one film where I recommend seeing it knowing as little as possible beforehand. I wasn’t going to see The Limehouse Golem, but after hearing my Plato’s Cave co-hosts speak about it, I was persuaded to do so. I’m extremely glad I did. On the surface it is a serial killer/detective story set in Victorian London, but as the film unravels it becomes increasingly apparent that its extremely masterful hidden-in-plain-sight twists and turns are used to explore issues of class, gender and sexuality in ways that are integral to how the story develops. It is a shame and a bit of a mystery to me as to why a film this well-crafted and atmospheric has had such little attention. 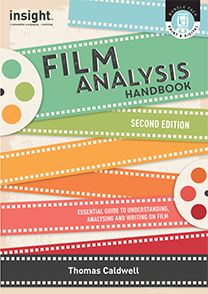 And finally, on a personal note, the second edition of my secondary school textbook Film Analysis Handbook is now available. Originally written in 2005 as a resource for school students and teachers studying and writing about film, this 2017 edition is fully updated with new film examples, new writing samples, new terminology and a new design. Available now from Insight Publications. This entry was posted on Wednesday, November 1st, 2017 at 10:24 am and is filed under Other. You can follow any responses to this entry through the RSS 2.0 feed. Both comments and pings are currently closed.